Often churches obsess over finding a charismatic leader, developing the right children’s programs, or having the perfect music. Most church attenders, however, say sermons are the primary reason they choose a congregation. And not just any sermons, but sermons focused on the Bible. Gallup asked those who attend a place of worship at least monthly the reason for choosing that place. Three-quarters of religious-service attending Americans (76 percent) say sermons that teach more about Scripture were a major factor. 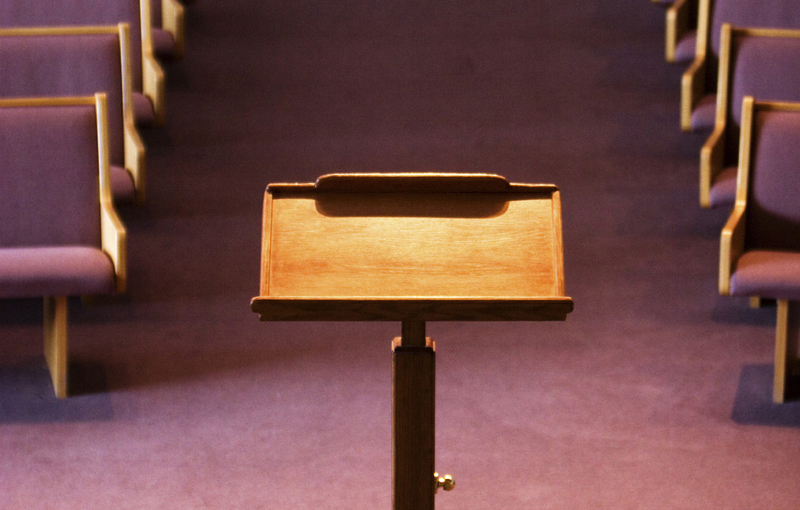 Among Protestant church attenders, Scripture-focused sermons are even more important. More than 8-in-10 (83 percent) say messages that teach about the Bible are a major factor in their church decision. Sermons that help connect faith to life are a major reason for 80 percent. Fewer Protestants credit programs for children and teenagers (68 percent), community outreach and volunteer opportunities (61 percent), or dynamic leaders (53 percent) as major factors for their church selection. Around half (49 percent) say social activities that allow you to get to know people in the community make a difference in where they attend church. Still fewer (44 percent) say music is a major factor. This may come as a surprise for pastors, more than half of whom select their sermon topic or passage a month or less in advance, according to LifeWay Research. Twenty-two percent even choose the week before. Only 20 percent have their sermon planned out at least six months prior, with 7 percent have it planned more than a year in advance. AARON EARLS (Aaron.Earls@lifeway.com) is online editor of Facts & Trends. We are looking for a fresh start, and we are hoping to find a church to help us do so. I like how you pointed out that when it comes to choosing the right one that there are somethings that we need to look for. It will be nice to find one that has sermons that connect faith to life, it will be great to have something that will help us be able to get through the tough times. Come give Journey Church in Athens a try. I don’t think you will be disappointed. We meet at 10:00 AM on Sundays in the gym of Lindsey Lane Baptist elementary school on Sanderfer Road. This was definitely an eye opening article. Thanks.